Ramen from Japan, pho from Vietnam, and dan dan mein from China—noodle dishes are the soul foods of Asia. They're comforting, filling, healthful, and, best of all, they're cheap. Lucky for us, modern Asian noodle joints are popping up everywhere, taking the humble noodle mainstream. Click (here) to see the list. 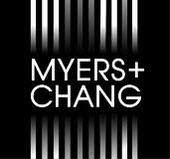 1 Response to "Top 10 New Asian Noodle Bars: Myers + Chang"
Myers + Chang is good, but man Wagamamma is soooo good!! Their noodles I think might be a tad better...I know it's a chain, but still.